Here's a work in progress that I started in Colombia in 2013. Maybe later the dangers of drinking can be covered. Should I as a Christian Drink Wine or Strong Drink? What Does the Bible Say? What Do We Holiness People Believe? Why? May the Holy Spirit of God help you find answers to your questions here. To say that whenever the Jews drank wine or strong drink in the Old Testament, they were drinking this purified water, I cannot. I believe that God overlooked several things that the Jews did in the Old Testament of which the New Testament Christian ought not stoop to do, due to our higher spiritual standard of living though grace and the coming of the Holy Spirit. But the wine then wasn't nearly as alcoholic then as it is now. Vic Reasoner stated in his commentary on Romans, “Until recent times the yeast used in making fermented beverages died off quickly at relatively low levels of alcohol – probably about 4%. Thus, the alcoholic content was low. Today wine has about 12% alcohol content. In addition, the wine was diluted with water in the ancient world. Only the uncivilized drank their wine unmixed.” [p. 554] This addition purified what might have otherwise been unhealthful water. Once diluted, it would have been nearly impossible to drink enough to make one drunk. Proverbs 31 mentions that King Limuel’s mother told him that wine was only for the perishing or those with a heavy heart. Regarding this Adam Clarke said, “Inebriating drinks were mercifully given to condemned criminals, to render them less sensible of the torture they endured in dying. This is what was offered to our Lord; but he refused it.” “Of heavy heart” in the Hebrew means “bitter of soul” according to the Treasury of Scriptural Knowledge. Today we have drugs, tranquilizers, anesthetic, and many other medicines to alleviate those who are dying or in agony or pain. In ancient days wine served this purpose. 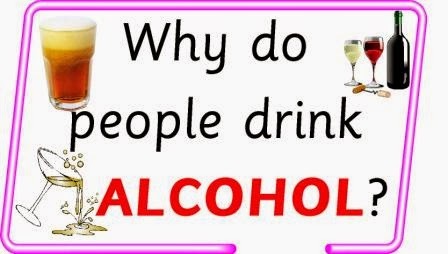 And as wine or strong drink can be abused in this purpose, today many abuse drugs likewise. In Jeremiah 35 God gave us a powerful illustration of the blessings which come from very careful living. The Rachabites were commanded by their ancestor Jonadab son of Rachab genarations earlier to drink no wine them nor their sons forever. God tested them by having His prophet Jeremiah set wine before them and tell them to drink. They refused to drink. God pronounced judgment upon Judah and Jerusalem who later perished or were scattered due to not heeding His commands. But God commended the Rachabites for their carefulness in listening and obeying. Furthermore God pronounced a blessing upon them by proclaiming, “thus saith the LORD of hosts, the God of Israel; Jonadab the son of Rechab shall not want a man to stand before me for ever.” Oh, as for me and my house with all our future generations, let us fear God and obey Him in this and in the very smallest of God's precepts! God says that drunkards will not inherit the kingdom of God. I want to stay as far away from the line of getting drunk as possible. I will not drink to be “cheered” by a strong drink; the Lord is my joy. God says that those who are deceived by wine are “not wise.” I want to be as wise as possible. I will stay as far away from intoxicating drinks as possible. I won’t even put it to my lips. God says that it is not for kings. It is my hope to sit with Christ on His throne someday. And even now through prayer and obedience I must exercise dominion and subdue the earth for the glory of God. God says that it is not for ministering priests nor Nazarites. A Nazarite was a Jew who professed extraordinary purity of life and devotion. As a holy Christian, I am not only a New Testament priest before God, but I am a special priest before God and a modern day Nazarite – one separated unto God. I am one of the holy people, the careful, the earnest, the revivalists, a possessor of Perfect love, and I desire to be the most like the church of Pentecost. I am filled with the Spirit and I minister to others in the Spirit. God says that it is not for princes. We Christians are the sons of God; we are princes in the noblest sense of the word. We are not to do anything that could cause someone to fall. If were to yield to a sip of wine others would lower their resistance too. I want NOT ONE person to drink strong drink and fall. And I will drink NO intoxicating wine or intoxicating drinks while the world standeth. Some would say, “But what if you were offered such during communion. I have been offered such during communion, and I have quietly asked if it was alcoholic wine, and when affirmed such, I politely said in a kind and none judgmental attitude, “No thank you, this is no judgment against you all, but I cannot drink alcoholic beverages. Please don’t worry about me, I am okay.” Those who say that this will offend the brother, are wrong. This will not cause a brother to loose his soul. Yea, it might save a brother or cause a brother to live more carefully due to a courageous stand and a blameless testimony of his fellow brother. Another might say, “What if you are offered such at a wedding, will you offend them by refusing to drink?” I have been served such at a wedding, and I have politely refused. But know that even among the world’s etiquette, it is completely proper to not taste the wine. If offered wine, you may politely say, “No, thank you.” And if there is already wine at your place setting you do not have to drink it. Those who do not drink, but feel that they must toast to the couple’s well being, may raise their glass in the air to health, long life, et cetera, and then set the glass back down at its place without drinking. Please follow my example in this. And in doing so you might have the honor of restoring a fallen brother as mentioned in James.